Venue to be out soon. 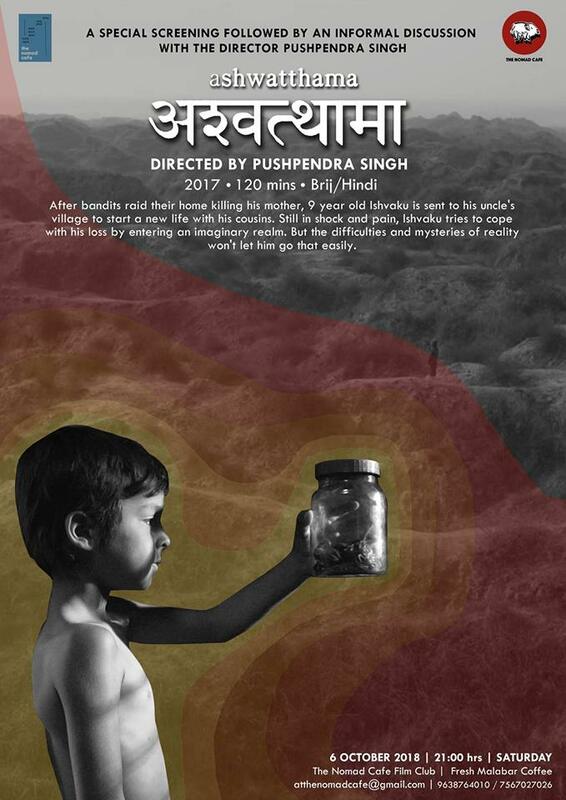 This time we are screening a very surreal film called “Ashwatthama” directed by Pushpendra Singh. The screening will be followed by an informal discussion with the actor and director of the film, Pushpendra Singh. This film which premiered in the Busan International film festival, explores the intersections between reality, mythology, folk traditions, memory and imagination. After bandits raid their home killing his mother, 9-year-old Ishvaku is sent to his uncle’s village to start a new life with his cousins. Still, in shock and pain, Ishvaku tries to cope with his loss by entering an imaginary realm. But the difficulties and mysteries of reality won’t let him go that easily. The film is shot mostly in black and white with very few scenes in colour.